Have you heard? 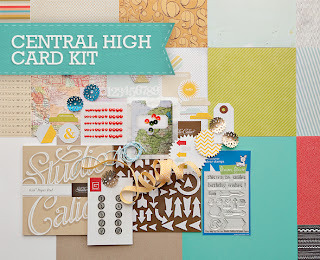 Studio Calico now has a card kit club! The premiere kit, Central High, has all the style you would expect from their kits, but scaled down in size for smaller projects. The kit includes a 6x6 paper pad with 24 sheets of paper in 12 designs from Studio Calico, Tim & Beck, BasicGrey and more, along with plenty of card-friendly embellishments. 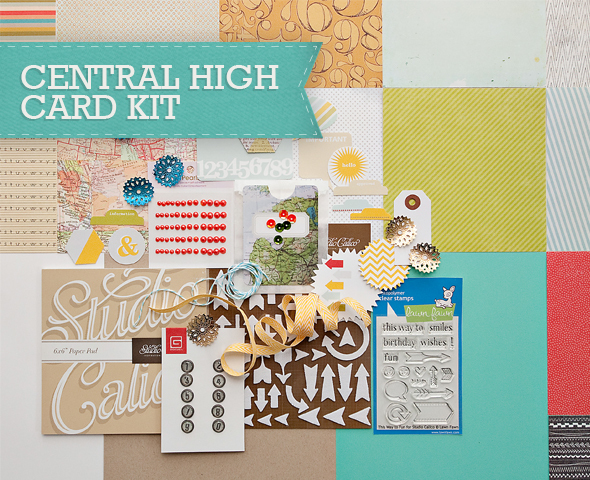 The kit also includes an exclusive set of stamps from Lawn Fawn, Studio Calico die cuts and mistable arrows. Each month's kit also comes with three exclusive sketches by PageMaps. What an awesome kit! 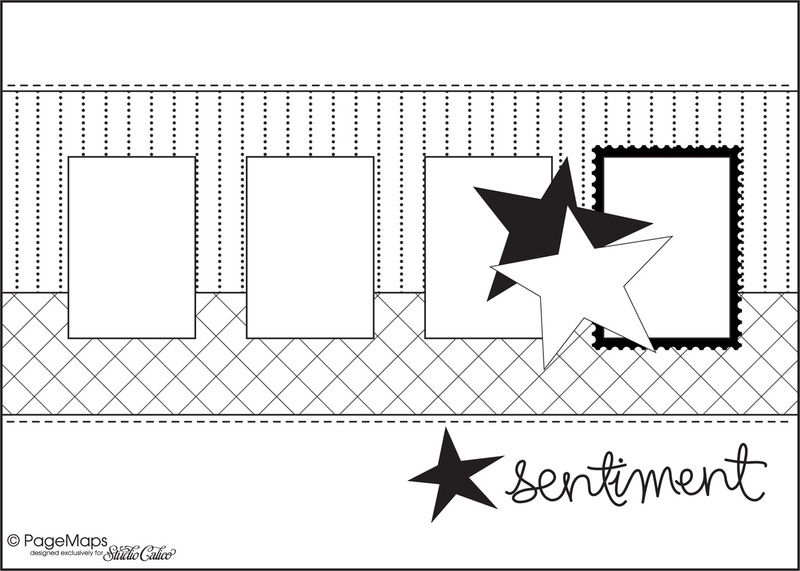 To win this kit, create a card based on this sketch. You are welcome to use any products that you would like. Post a comment on this thread with a link to your entry. The contest starts today and ends at midnight, Sunday, September 16, 2012 (MST). This contest is open to US/Canadian residents or anyone with a US/Canadian mailing address. I live in Oregon so can"t be there,but I love the sketch and kit!! Great sketch Becky! Would love that card kit! Thanks for the sketch and for the chance to win! I would so love to sign up to the kit subscription, but it just isn't in our budget right now.. 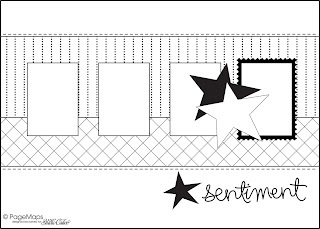 Here's my take on this fun sketch... http://jinnynewlin.blogspot.com/2012/09/pp112-pagemap-studio-calico-card-sketch.html Thanks so much for the chance to win! Here's my card for this awesome sketch! Thanks for the challenge! Really great sketch...I would use same sketch for Discount Card fundraiser if i ever need it.